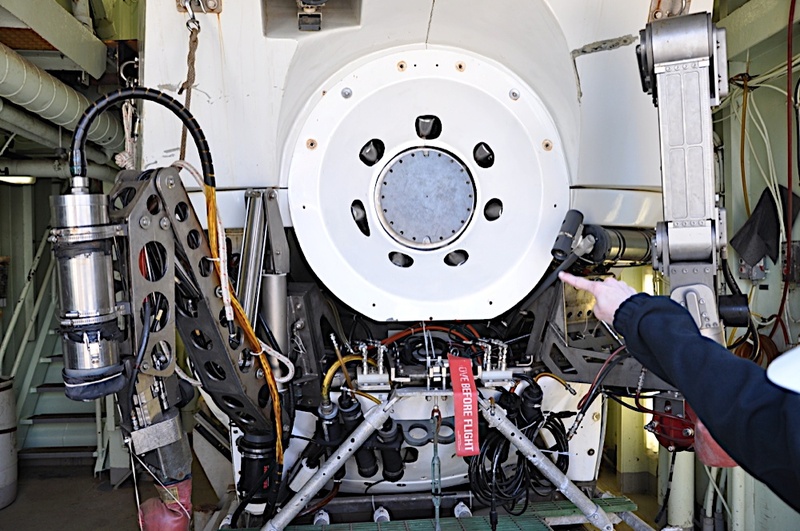 A new paper, and news story, call attention to an analogous process that might occur with deep-sea submarines (see news story here: U.S. News – Deep-sea aliens hitched ride by submarine to pristine area). The basic summary is – researchers using the deep sea sub ALVIN have discovered that, contrary to expectations, some organisms from the deep were able to survive the sub surfacing, being brought on board the mother ship, and then being sent back down to another site. Some limpets apparently hung out in some tubing for a day and were then “sampled” by the sub at another site. Apparently, nobody had thought this might be an issue because they had assumed that the surfacing and bringing on deck and cleaning of ALVIN would kill any organisms from one site before traversing to the next place. Apparently not. I note one comment – it seems reasonable to think that microbes might be hitching a ride on ALVIN and other submersibles too … which brings me back to the recent post on Deep Sea News I linked to above. It is by Holly Bik, a post doc in my lab, and in it she discussed the possibility that microbes might be getting moved around by surface ships. Well, it seems that submersibles should be looked at too ..